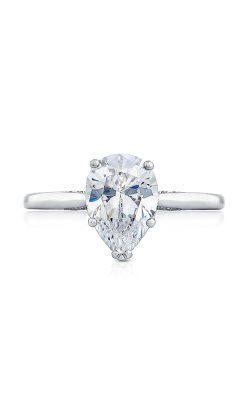 Pear shape engagement rings have captivated the hearts of modern brides for their sheer elegance and unique look. 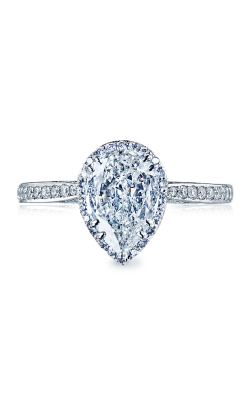 Although not new to the bridal jewelry world, pear shaped engagement rings have recently resurfaced as a popular diamond choice for prestigious designers looking for a versatile diamond cut with which to craft exquisite pieces. 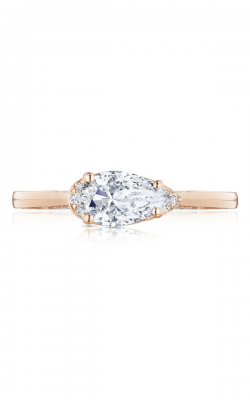 Also, the pear cut engagement ring’s unique shape allows for a truly spectacular, one-of-a-kind look that is simply irresistible to brides-to-be. For an unparalleled selection of pear shape diamond engagement rings fashionable couples can now shop the selection at Long Jewelers! 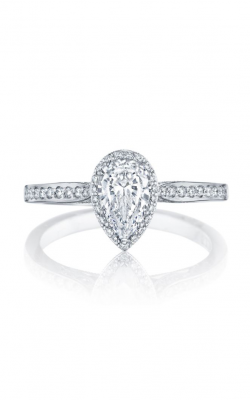 More than just diamond specialists, Virginia Beach’s Long Jewelers prides itself in offering a wide selection of today’s most adored bridal designers. 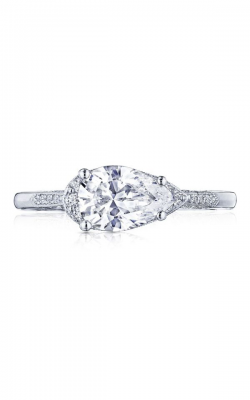 As authorized retailers of Simon G., ArtCarved, Kirk Kara, and more, couples can explore from an authentic assortment of engagement rings perfect for pear shaped diamonds. From Simon G., the Passion, Delicate, Vintage Explorer, and Classic Romance collections are breathtaking and endlessly enchanting to modern brides. 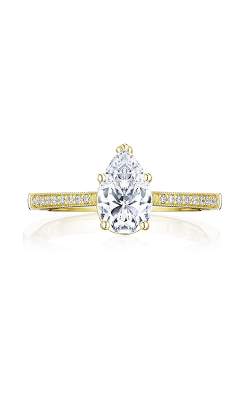 Also available in the Long Jewelers showroom are the dazzling array of pear cut engagement rings by ArtCarved, the lovely pieces by Imagine Bridal, and the glamorous rings by Kirk Kara. 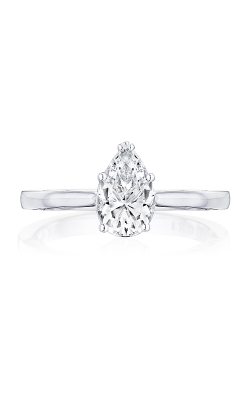 Serving the Tidewater area with the latest and greatest, available today in the Virginia Beach showroom of Long Jewelers is an unbeatable selection of diamond-covered pear shape engagement rings. 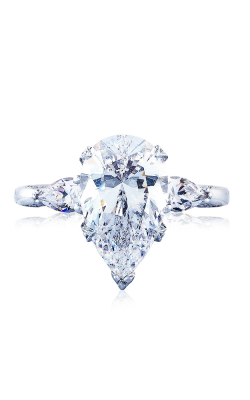 Fascinating brides-to-be since 1892, A. Jaffe’s Seasons of Love, Art Deco, and Metropolitan collections offer glittering, shimmering, and endlessly sparkly engagement ring selections. 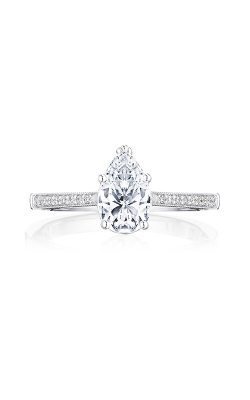 Comprising the Dantela, Starlit, Simply Tacori, and RoyalT lines by Tacori, discover a favorite among the completely authorized selection of stunning solitaire and halo engagement rings built to accommodate pear cut stones. 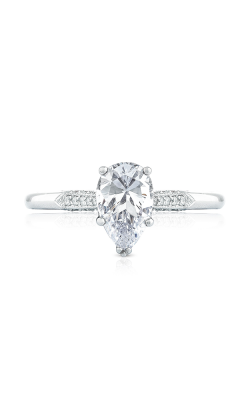 Further collections of pear cut diamond engagement rings available today at Long Jewelers include brilliant pieces by Fana, Goldman, and, of course, Jeff Cooper.